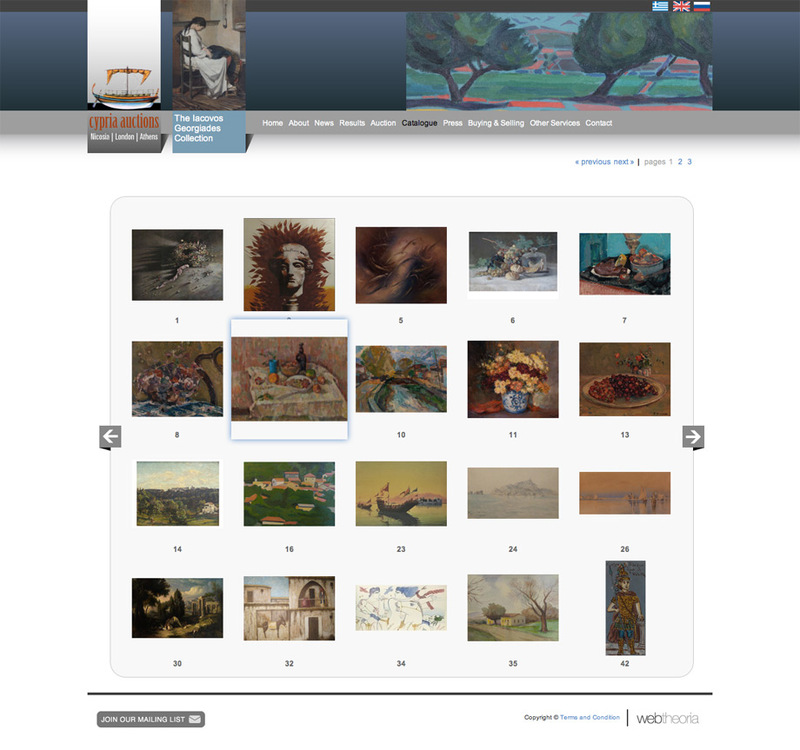 Site visitors and potential bidders can easily scroll through thumbnails of artworks. If they like the look of something then clicking it will open a lightbox where they can read the details, make a bid or contact the auction house. Forms are swapped in with jQuery animations. 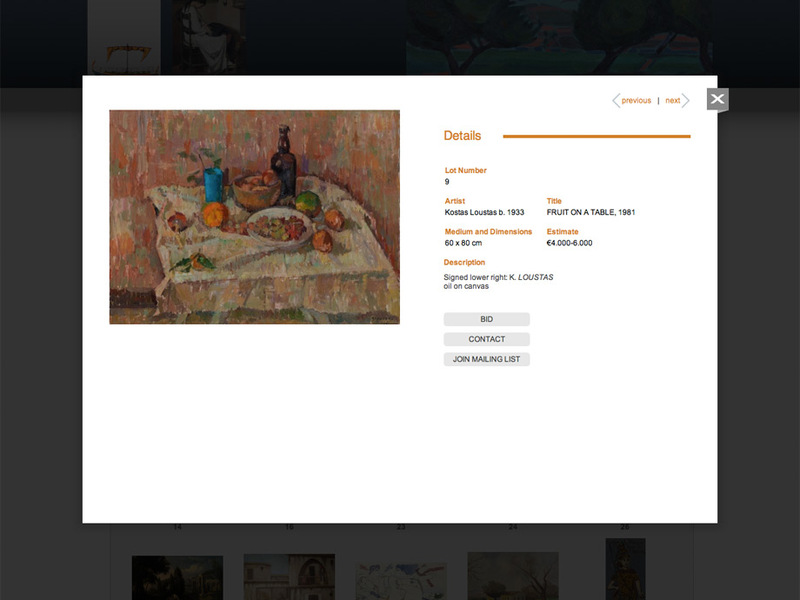 From within the lightbox you can continue to browse with the previous and next links. Additional artwork details are loaded in with Ajax. The Cypria Auctions catalogue is live and can be viewed here.